Last week I payed a visit to Rush Lyvars Lake situated in Hedon East Yorkshire. This is the fishery where I spent most of my childhood fishing days and I have some fond memories, so when it was bought recently by Pete and Mark Everett I was highly delighted, as they plan to make the fishery even better. True to their word they have been working tirelessly, day in day out transforming and rejuvenating the place. The most significant thing they have done is split the lake back into 2 lakes. The future plan is to have 1 lake (the Deeps) for specimen carp anglers and the other (The Shallows) for match/pleasure anglers; with this in mind I decided to try out the shallows. I picked a peg on the right hand side of the first accessible island. 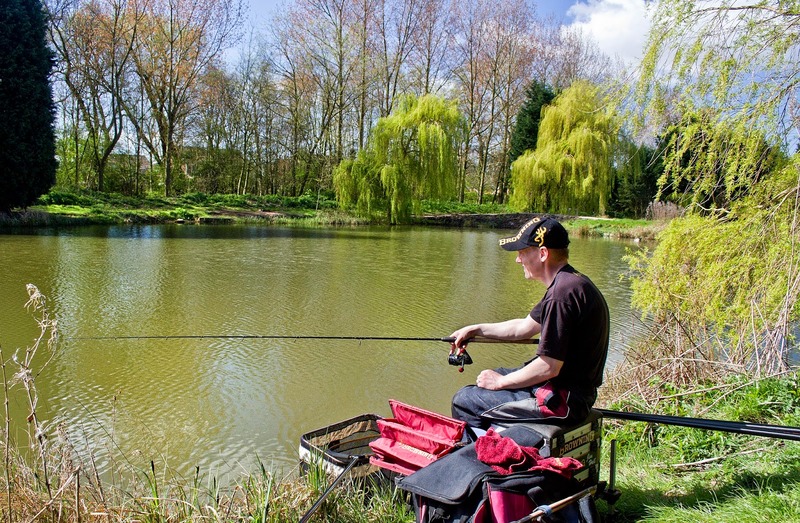 The peg offers a large amount of open water, which should be perfect for targeting the vast stocks of Ide. The Ide in this lake grow to enormous sizes with some touching 4-5 lb, with the most common size being around the 2 lb mark. 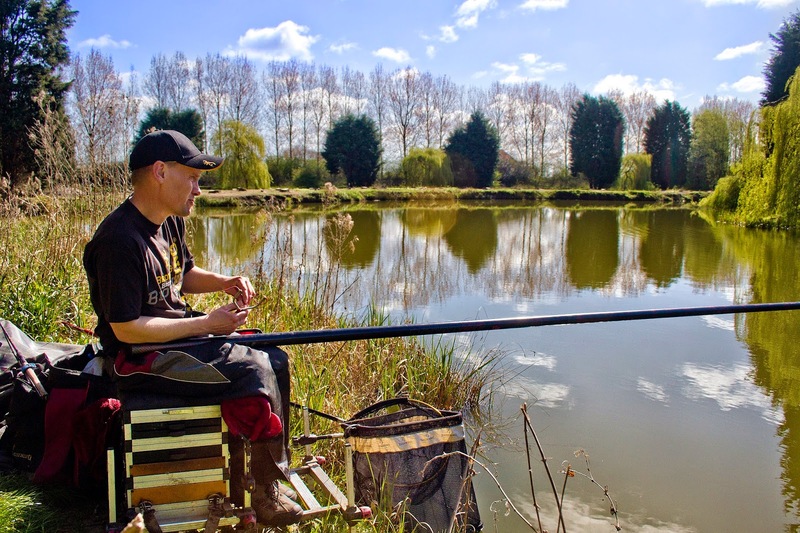 As this is a pleasure session, my plan is as simple as it gets, 2 pints of maggots and a shallow pole rig. The area I am going to target is 11.5 meters directly in front of me. I have set the rig at 2 feet deep to start with and plan to shallow up as the session goes on. I am going to loose feed the maggot via catapult. 2 pints of maggots made up of 1 1/2 pints whites and 1/2 pint reds. I started the session as mentioned above with the rig set at 2 feet deep. Before shipping the rig out I catapulted a couple of pouches of maggots over the desired area. I shipped the pole out, re fed then laid the rig in over the top so that the bait fell at roughly the same rate. It took around 15 minutes of lifting and dropping and re feeding before the first proper bite, but the reward was one of the target species, a lovely Ide around 1 1/2 lb. I started getting regular bites, but for some reason I was only hitting a small percentage of them. I needed to do something to change this and quickly, so I shallowed up slightly, reduced the distance between pole tip and float and added 4 No 10 back shot. The back shot were equally spread between the pole tip and the float. The reason for doing the is that it forces you to keep a taught line. 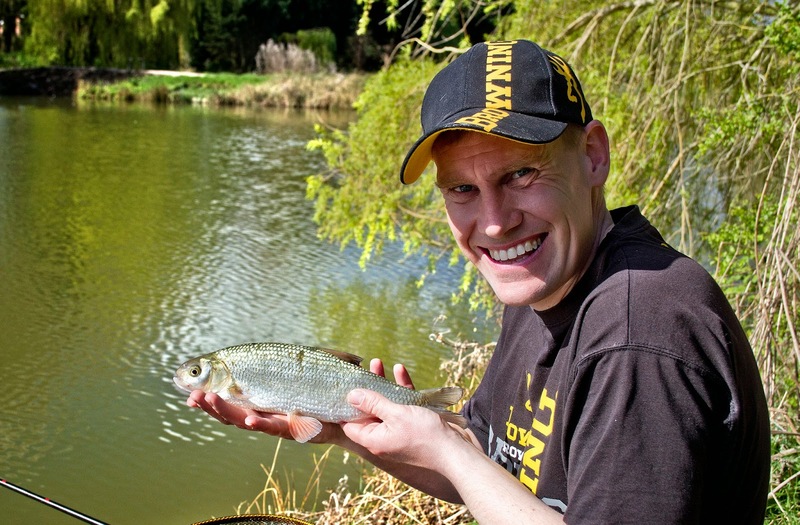 The response was instant as I was now hitting the majority of bites and catching at a much faster rate, landing not only Ide, but decent roach and Perch too. The session got stronger and stronger, but unfortunately I had to end the session prematurely, as I had to go back to work. In 3 1/2 hours I had amassed a net of around 30 lb. 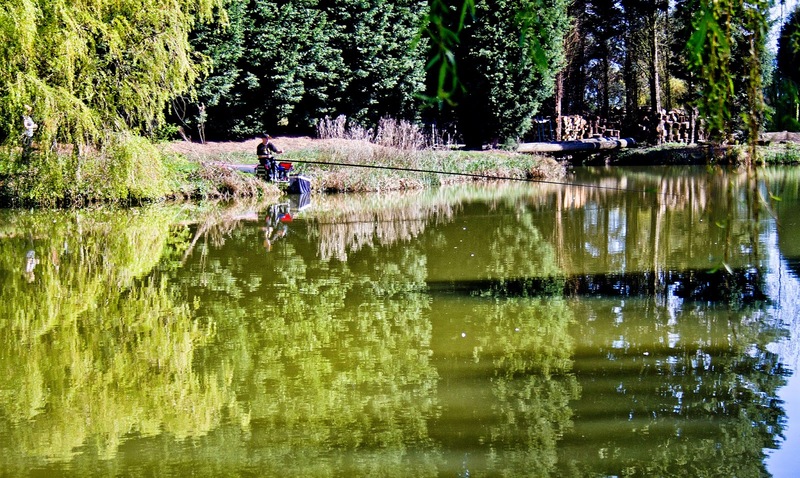 I had a lovely days fishing at a cracking venue; It also proves that every day is a learning day and simple changes can result in more fish in the net! *the 24 hours will run from 12 noon till 12 noon, you can arrive and fish before this time if swims are available at no extra charge, but pack up at 12 noon the next day so other anglers know what time swims are available. 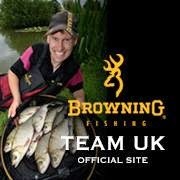 I recently took delivery of my new Browning Xitan MF 930 Reel. This is the smaller of the 2 new models available, the larger been the 940. At first glance it looks an impressive piece of kit, with a sleek extremely modern look. It comes with an array of accessories. Firstly is the 2 handles, 1 double handle (my personal preference) and 1 single handle. It also comes supplied with 2 equally sized spools, which have a line capacity of 150 meters of 0.18 line. I am not one for doing a review before I have thoroughly tested a piece of kit, and so it's off to the open matches at Lindholme Lakes I go for it's first outing. 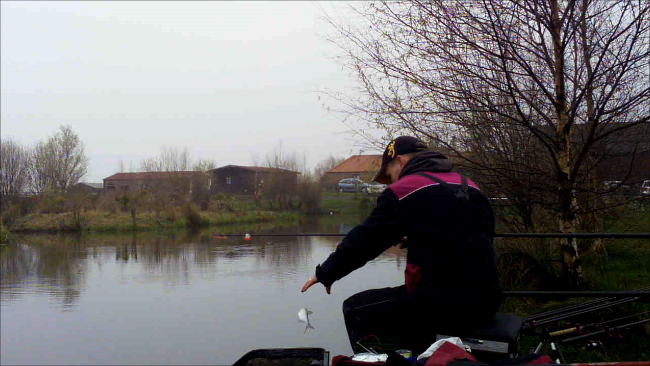 I have been using the reel for bomb fishing, as this is a great method at the venue; the reel would be also perfectly suited for all match methods, including Pellet Waggler, Method Feeder and standard Feeder; however the pictures below show me giving it another workout at my local Rush Lyvars Lake venue, Hedon East Riding of Yorkshire. 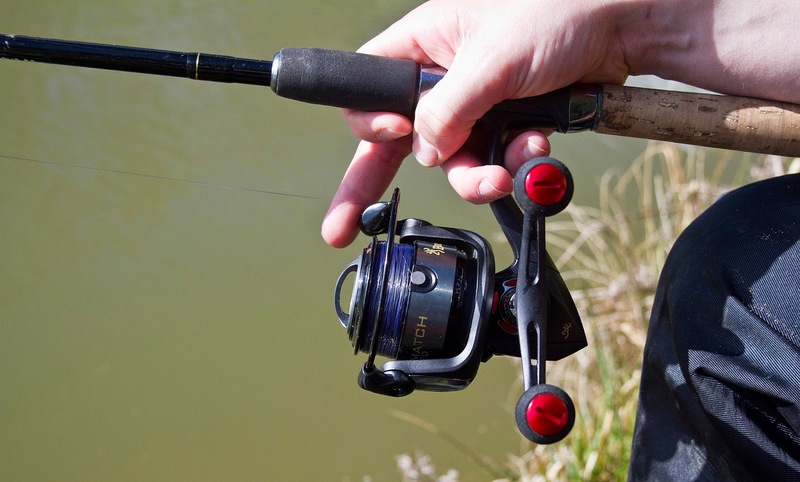 The thing that stands out the most to me, is how smooth the reel works, even when playing a hefty irate Carp it works effortlessly, which is a credit to the engineering. Another thing that really stands out is how uniform the line lays on the spool; it is completely even from top to bottom. This coupled with the large diameter spool design makes casting effortless as the line peels off with minimal friction. 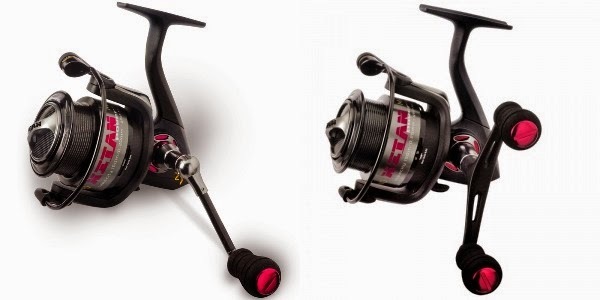 One of my favorite methods, especially in the summer months is Pellet Waggler fishing, and I cannot wait to give this reel a proper pellet wag work out. The fast retrieve on this reel 6.0:1 will be invaluable for this method, as regular re- casting is essential. If you use the drag system for playing fish, you won't get a reel with a smoother one than this. This is due to the ultra smooth progressive carbon drag system. One final design feature, which is simple, but again essential for modern match fishing is the line clip. Browning have designed this with a protective coating, which prevents line damage, which in turn prevents unnecessary line breakages. You also get 2 spools of Browning Cenex line free! 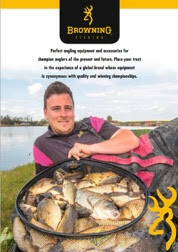 *Available at all good Browning Stockists. I always look forward to fishing Bonsai at Lindholme, and today was no different. This recent warm weather has encouraged the fish to start moving and feeding properly and they are now well spread out. Big weights have been taken from all over; this is one of the many things I love about this lake, matches can be won from almost anywhere. 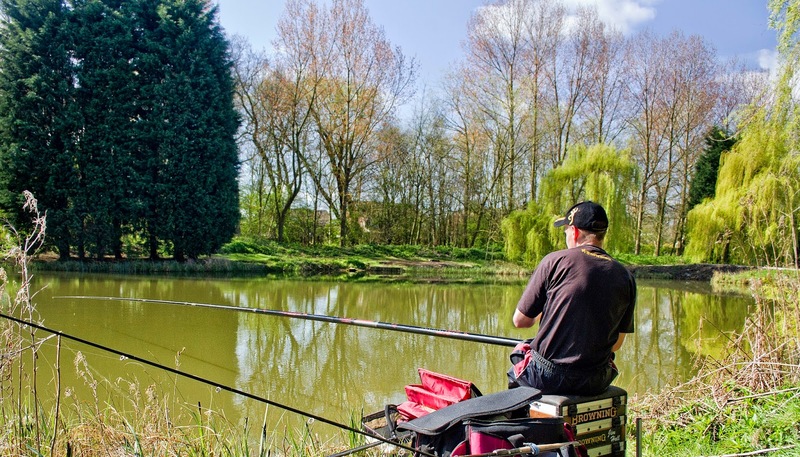 A good attendance for the Tuesday match saw 20 plus anglers grace the banks. As the fish are been caught everywhere, I wasn't overly fussed about what peg I drew. Peg 78 was the one that graced my hand at the draw. On arriving at my peg, I was quite pleased as it has plenty to offer. I have an island directly in front of me at roughly 15 meters. The island is only small, and if I push out to 16 meters I can reach both corners of it. Hopefully this will give me plenty of options, should the fish back off. The margins also offer plenty of options, as I can reach the platform of the pegs either side. These can be very productive later in the match. My main line of attack will be the island directly in front of me, as there is a small cut-out in the freshly grown reeds; I think this will offer the fish plenty of cover to feed with confidence. The second line I plan to feed a shallow line at 13 meters to a 10 o'clock angle in the open water. A few good catches have been taken recently on this method. My third line is going to be a meat line at around 5 meters, I plan to feed this by hand constantly through out the day. My last line of attack is going to be the margins, I plan to find an area of equal depth down each side so that I can utilize the same rig. As the weather is getting warmer and the fish are feeding more freely, I have more on my bait tray than I have had for what seems like an age. I have the trusty fishery micros for feeding on the island line, I also have some 4 mm fishery feed pellets for feeding on this line if I start to get plagued by small fish. 4 mm expander pellets will be the hook bait of choice. For the shallow line 4 mm pellets will be the feed with either 4 or 6 mm hard pellets for the hair rigged band. I have some 6 mm cubes of meat for the 5 meter line and as an alternate bait for the margins. For the main margin bait I have some ground bait and a tin of corn. 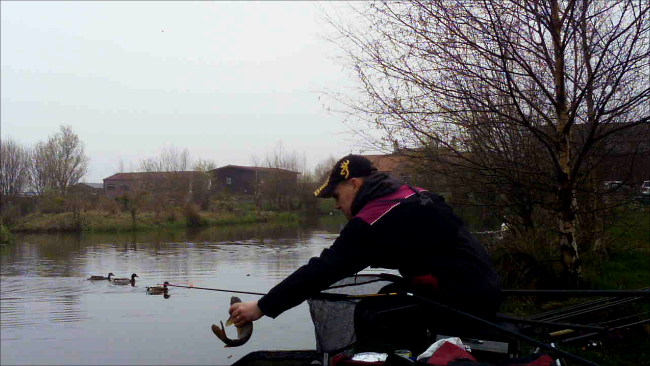 I started the session fishing up to the island with a 4 mm pellet on the hook and micro pellets in the pole mounted pot. After tapping the pellets from the pot I lowered the rig in slowly, the float never even settled and a small Skimmer was on its way to the net. I was hoping for a quick start but the speed of that bite was very surprising. The second drop in resulted in a prime F1, but I had to wait 30 seconds for that bite. bigger fish can usually be caught shallow. I continued to fish the island swim as I was still catching fish, although they tended to come in bursts, with a wait in between. After roughly 3 hours I gave the shallow line a look, the response was instant, and a chunky F1 was soon apprehended. The next drop in resulted in another quick fish, then the sun came out and the bites stopped instantly. I think the movement of flicking the rig over must have spooked them, Gutted! I decided to give the 5 meter line a go, but all I could catch on this line was small Skimmers, which are no use nor ornament when it comes to weight building. I decided to give the island rig another crack, but as the island rig had slowed to a virtual stop, I had to start priming the margin line. I cupped in 2 pots of loose ground bait with a scattering of corn on top close to the left hand pallet. I left this to settle for 20 minutes whilst trying to pick off fish of the other lines. It was time to try the margin line, which resulted in a couple of better F1's in 2 drop ins, then it took a fair while before another bite. I had a feeling corn was not the right bait, so I fed the other margin with some ground bait and meat. After leaving to settle for a bit I gave it a try with double meat on the hook, The response was instant with big F1 's straight away. I was now catching big fish at a decent rate, but unfortunately time ran out too quickly. At the scales I weighed in a 79 lb 7 which was nowhere near enough to win, but it was a cracking days fishing and I had learnt quite a lot, which is absolutely priceless!